I have been getting a lot of questions about Faction Warfare lately. How does one join? What ships should one expect to need on the front? What tips would I give to a new Faction Warfare recruit? Let's start at the beginning. Before you sign up, there are a few things you should consider. First, what faction should you join? Standings: You need 0.0 or higher Faction standings to join a militia. This may narrow your choices if you have negative standings with any of the Factions. Location: Where you currently live, or want to live may determine which Faction you join. If you want to live in Amarrian space, it's probably best not to join the Minmatar militia as the Faction Police will shoot you in Amarrian Highsec systems. Race: Through various activities in Faction Warfare, you will gain Loyalty Points for your Faction. You can use these to spend on ships, modules, implants, and many other items in the Loyalty Point store. If you primarily fly Caldari ships, having access to purchase Caldari Factional items and ships may be a consideration for you. Once you have decided which faction to join, there are a few things to do before you sign up! Make sure that all ships and assets you want easy access to are safe within a station in that Faction's space. If you have assets in enemy territory, it will be much harder to move them after you have joined militia! If you are moving directly to low-sec, make sure any assets you move there are in a system that your Faction currently has Sovereignty in. Otherwise, you will not be able to dock in that station to retrieve those items. The Faction Warfare Interface is located under your Eve Menu, in the 'Business' section. On this interface you will have the option to join as an individual, corporation, or alliance. You must be docked in a station within a Faction's space in order to join the militia for that Faction. 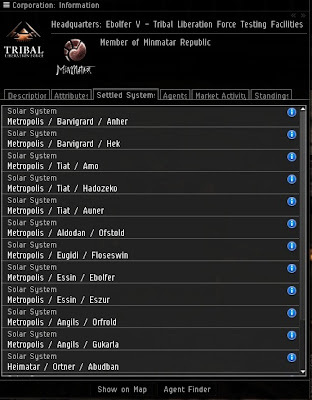 You can find stations belonging to these corporations by looking on the "Settled Systems" tab in the in-game information for that corporation. Ask in the Militia Channel, which will become available to you as soon as you join. While some people are skeptical of new players (you need to earn trust!) there are frequently those around who will answer basic questions. Look at your Faction Warfare Interface to find out what is happening in the warzone. You can find out information about where to set up a personal base, as well as where the 'hot' zones are where you can jump into some action! Look at available fleets. Many Fleet Commanders in the militia will make a fleet available to anyone in the militia. Simply join the fleet, and ask the FC what he/she would like you to do, and what ship to bring. Explore. While the primary warzone is in low-sec, and you will need to be careful of both hostile militia and pirates, a good way to learn about what's going on is to explore various systems and gather your bearings. Faction Warfare is one of the easiest pvp mechanics to get involved in. Because many plexes restrict ship sizes, many pvpers and plexers use a variety of ships, from tech 1 frigates and destroyers to Faction ships. If you are a relatively new EVE player, I would suggest flying a tech 1 frigate, or a destroyer for a while. These are frequently called upon by FCs, and can get into any plex. If you are a new FW pilot, but an older EVE player, what you stock up in the warzone is a matter of personal preference. It is usually good to have a few destroyers/frigs, tech 1 cruisers, a BC or two, and even a Battleship on hand for militia operations. When you join the war, the chances are very high that you will lose your ship at some point! Never fly something you are unwilling to lose, or unable to replace. 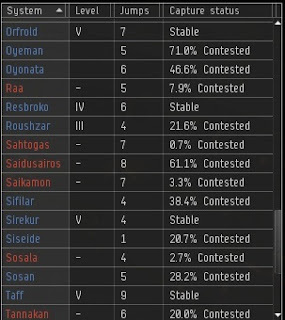 Will I lose standings in Faction Warfare? In a word, yes. Shooting enemy militia will take standings away from the enemy militia's NPC corporation. Completing plexes and doing missions will result in the loss of standings from the enemy militia's NPC corporation and moderate to major hostile Factional standing losses. While general PVP will not quickly degrade your Factional standings, engaging in other activities will significant degrade your standings, and over time you may lose the ability to travel to HighSec systems belonging to the enemy militia, even after you leave FW. Yes. If you have 0.0 standings or above, you can join any militia you want to. How do I join a corp besides the NPC corp? 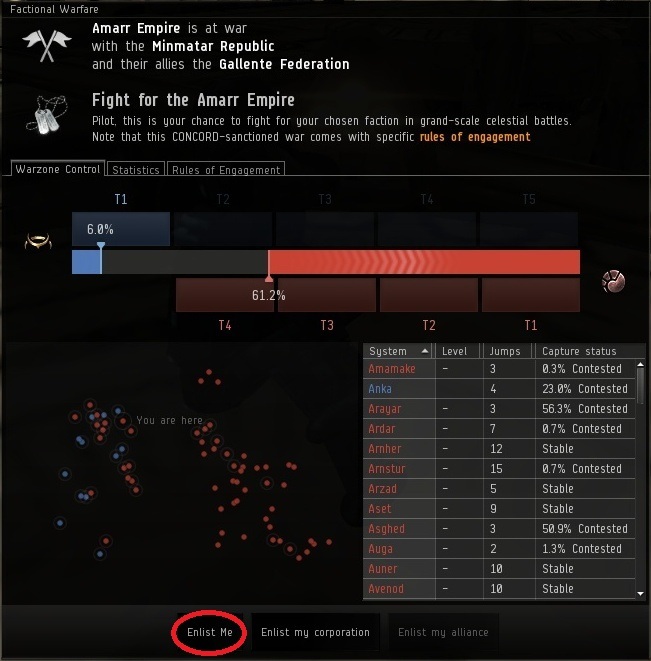 You can join a player owned Faction War corp the same as you would join a normal corporation. Factional Warfare corporations and alliance regularly post recruitment posts on the Eve Online Recruitment Forums. After you have spent time in the NPC corporation and develop trust with other militia members, you may also be invited to a player owned corporation. *A special thanks to Galdornae and Hans Jagerblitzen for contributing information, and reviewing facts for this guide. "... it's probably best not to join the Minmatar militia as the FASHION Police will shoot you in Amarrian Highsec systems ... "
A question which I should know the answer to but don't - does the station lockout apply to *both* hostile factions, or just your direct opponents (i.e. can Amarr FW dock in Gallente lowsec)? And the same question regarding highsec access. Highsec is fair game for every FW pilot to dock in, assuming you make it past the factional police. Enemy factions cannot dock in each other's space, so no, an Amarr FW pilot cannot dock in Gallente FW-owned space. 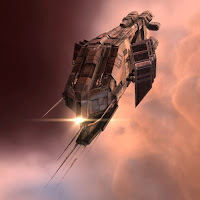 (there is "Gallente Lowsec" such as Egghelende that is not part of Faction Warfare and home to quite a few Amarrian FW pilots who moved there to avoid the station lockout consequence. Sorry, by hisec access I meant 'where will I get shot by faction police' rather than docking rights. Highsec stations are not locked. I can go to the system Amarr and dock if I want to. This is a nice and concise "How To" guide. Thanks Susan. The only thing that I might add for new FW pilots is to not hesitate to get involved in PVP/Plex roams. Also, monitor the miltia channel and ask questions but remember don't ask question regarding "rally points" and ship type requirements in miltia save those questions for the fleet channel. Our fleets are always looking for pilots willing to fly fast tackle ships so, at a minimum, have those type of ships ready - but be prepared to lose them. Finally, if you haven't already done so download Team Speak 3 and be ready to configure as directed. Fly boldly pilots and I'll see you on the battle field. Excellent guide. I read it even though I'm not joining a faction and found it very informative. Thanks! make this a perma-link in your blog. Expand a bit, with more info about how some mechanics work, like plexing, how to profit with LP and you will get some cool traffic and grateful recruits for your cause. I agree - definitely perma-link this. FW is becoming more intriguing for me. I'm exploring alternative markets for our manufacturing output, but just assumed that all in FW simply use an out of corp alt to haul in a freighter load of stuff at a time. Options would be to talk to one or more factions to see if there was interest in supplying ships and equipment, or whether it would just be worth putting stuff up near the action and seeing if it shifts. I'm guessing that most of the industry, however, is conducted outside of the actual FW arena (i.e. not Corps actually in FW, but alt Corps). So if I were to join Minmatar FW, where would I want stage out of highsec? 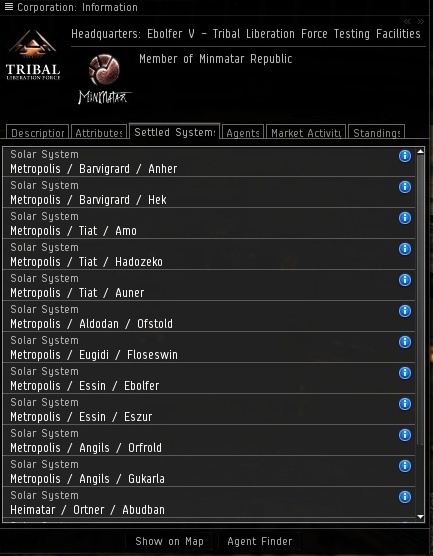 For Gallente, Vylade is an obvious choice, but I'm not seeing anyone mention where the equivalent Minmatar system is (at least not in a post less than two years old). Susan, you are a legend. This post is perfect - I've been banging my head on FW for a while trying to fathom how it all works from a rookie perspective. Hans directed me here, I'm just sorry I didn't look earlier. Invaluable.